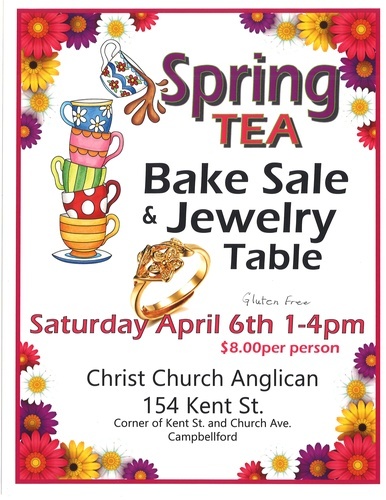 Spring tea, bake sale and jewellery table. Gluten free options. $8 per person.